Let us at 1st Choice Chimney teach you what you need to know about Dallas chimney sweep services. How do you tell if your chimney is in need of a sweep? There are several ways to tell, but the most reliable way is to call in a professional like 1st Choice Chimney. Part of the Dallas Chimney sweep services offered by 1st Choice Chimney is an inside view of your chimney. Lowering a camera down your chimney allows you and the professionals to assess the state of your chimney. If there is a creosote buildup, or any cracks or damage, the camera will allow you to catch it and get it taken care of before it becomes a true hazard by going un-noticed for too long. This bird’s eye view of your chimney can also catch an obstruction, such as creosote build up, or even an actual birds nest. Both of which are very hazardous, and could potentially cause a house fire, or smoke damage from smoke backing up into the house. So the next time you go to light your first fire of the season consider waiting until you have had a chance to get the all clear from your friendly chimney sweep professional. What Creosote looks like after it is removed. Creosote. Creosote. Creosote. It seems like whenever you talk to anyone who knows anything about chimneys, or chimney maintenance and upkeep, creosote is a word that you hear over and over. But what exactly is it? Well, it is a byproduct of burning. As materials, such as wood, burn in your chimney, they give off a mix of gases, unburned wood particles, smoke, hydrocarbon, and other nasty things. As this mix of burning byproduct travels up the chimney, the process of condensation takes place and a brownish black crust forms on the interior of your chimney. When too much of this builds up, you are in need of some Dallas Chimney sweep services. 1st Choice Chimney is an ideal choice for all of your Dallas Chimney sweep services. Being able to identify a creosote problem is step number one. It can be crusty and flaky, or drippy and tacky. It can even be glossy and hard. No matter what form it takes, it is always a fire hazard. Creosote is very flammable and once identified needs to be removed in a safe and professional manner. Have you ever hear of the 3-2-10 rule? Chances are that you have not, unless you are in the habit of building houses, installing chimneys or offering Dallas Chimney sweep services. This is simply a rule that masonry chimneys are required to meet. It states that the chimney must extend 3 feet above the roof penetration on the shortest side, and the top of the chimney must be 2 feet higher than any portion of the building structure within 10 feet. Ok, now that you know what the 3-2-10 rule is, let us talk about WHY it is. 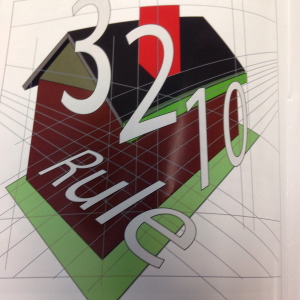 There are two schools of thought about WHY we have the 3-2-10 rule concerning masonry chimneys. Let’s talk about safety. It makes sense to make sure that the chimney is high enough that in the event that something hot (like flames, or flaming creosote) it will be less likely to land on a nearby roof or other buildings catching them on fire as well. Now, on to performance. The theory is that the minimum height of the chimney ensures that it is tall enough to provide draft, and to prevent other parts of the building from hindering craft. What the U.S. can learn about British sweeps. If there is one thing that Dallas Chimney sweep services can learn from the United Kingdom, it is that spreading awareness and being prepared are two very important steps in preventing chimney fires. During their “Chimney Fire-Safety Week’ the “Fire & Recovery Services” remind citizens of their ability to demand the review of the citizens chimneys by a qualified chimney sweep, to assess whether they are prepared for the cold weather months. Calling a professional to take advantage of their Dallas Chimney sweep services is a great way to be proactive. They can help you make sure that your chimney is in perfect working order before you light your first fire of the cold season. Fire officials in the UK remind us that a chimney that has remained unused for months at a time should be checked out thoroughly before being used. 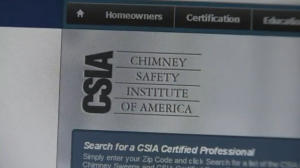 This can help prevent a chimney fire and even smoke damage from an improperly drafting chimney. An improperly drafting chimney is also a hazard for carbon monoxide poisoning. Fumes from a fire can back up into the house and become concentrated, and this situation is deadly serious. How to clean your fireplace. If you want to clean your own fireplace rather than calling a professional like 1st Choice Chimney for their Dallas Chimney sweep services then here is a step by step guide for a routine cleaning. Step one- gather together the following gear. An empty 13+ gallon garbage can and liner. A fireplace shovel and brush. Minimize the impending mess by laying another garbage liner at the opening of the fireplace. Making sure that the hearth is cold, use your hands to remove all large pieces of charred wood and place them in the garbage can. Then use the fireplace shovel to remove all of the remaining ash and soot. The brush should be used to sweep the edges and corners. Clean any grating of all remaining ash and soot. You may choose to use soap and water at this point to make the grate look better. At this point you should scrub the interior walls and floor of the fireplace with a nylon brush to loosen up bigger pieces. 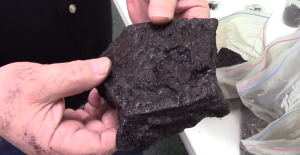 Take this opportunity to visually inspect your chimney. Shine a flashlight up and keep your eyes peeled for any shiny patches of buildup. If you notice anything call for Dallas Chimney sweep services. Now that you are armed with all of this information, it might be the right time to be proactive about your chimney, and preventing any hazardous situations.